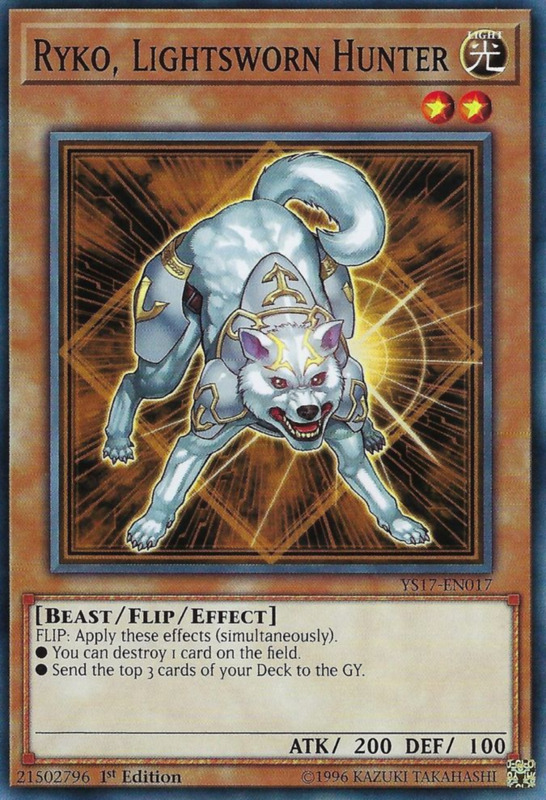 What are Flip Effect Monsters in Yu-Gi-Oh? Flip monsters are easily distinguished by their "flip" rules text and activate special effects when flipped face-up on the field after being setting face-down. This occurs either when you manually shift them to attack position on subsequent turns or when they're attacked by your opponent's monsters. 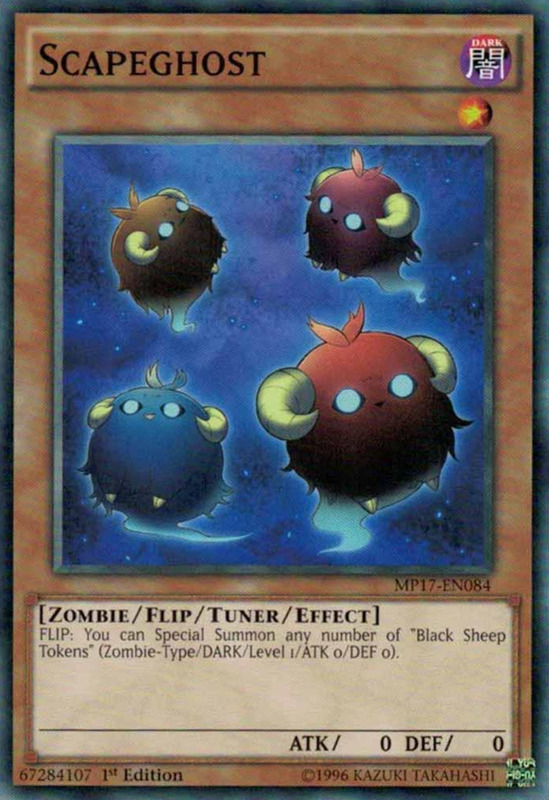 At either condition, your card is flipped face-up (so its DEF score can be used for damage calculation), and its flip effect triggers, hampering your foe or boosting your units with a variety of special abilities, almost like an unknown trap card in monster form. Ever since the classic Man-Eater Bug, duelists have wreaked havoc with their unknown face-down abilities, and flip effects still enjoy a healthy number of support options today. But with hundreds of cards available, which creatures reign supreme? These are the ten best flip monsters in Yu-Gi-Oh! We're only tackling unrestricted, semi-limited, or limited combatants as of this writing (no banned cards like Morphing Jar) to provide ideas on how to boost your tournament-legal deck. All are powerful abilities that mimic forbidden or limited spells. Drawing two cards is just like the infamous Pot of Greed, returning spells/traps copies Giant Trundade, annihilating all opposing monsters duplicates Raigeki, and removing a card of your choice from your opponent's hand bears similarities to Confiscation. Two tributes make Pot of the Forbidden (who is ironically perfectly legal) more costly than most flip cards, but his overpowered, choice-providing abilities compensate. Looking for a nonpendulum way to quickly special summon your highest-level monsters without tributes? Apprentice Piper has you covered. When initially flipped, you simply special summon any monster from your hand, fielding your best titans without sacrifice. 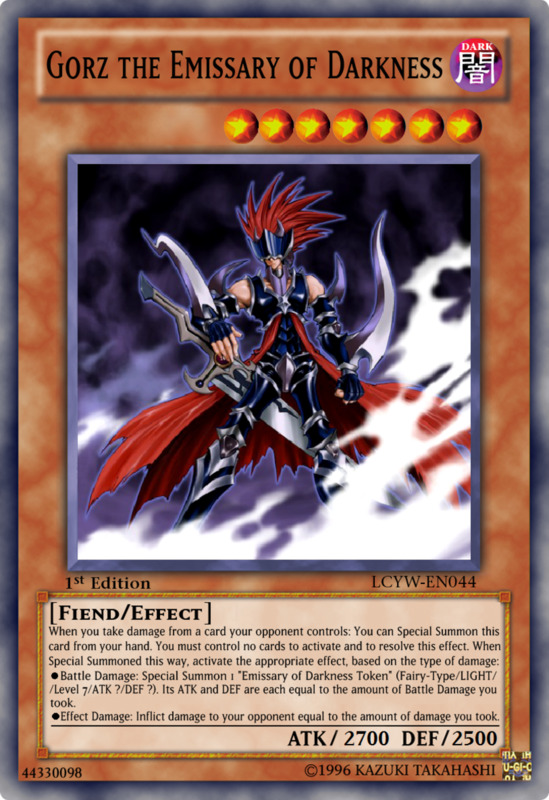 This aids you in casting formidable champions like Dark Magician of Chaos, who helpfully shares Piper's dark attribute and spellcaster type. Plus, when Piper is destroyed by battle or card effect, he activates the exact same effect, once again letting you special summon another warrior from your hand. These effects lack the pesky "once per turn" errata, letting you use both on the same turn and even multiple times if you posses multiple Pipers, and it's nice that the effect destruction activates even if your card was the source of the destruction. Finally, while 1500 DEF is by no means great, it's more than the commonly-seen 1000 or less DEF of the best low-level flips. 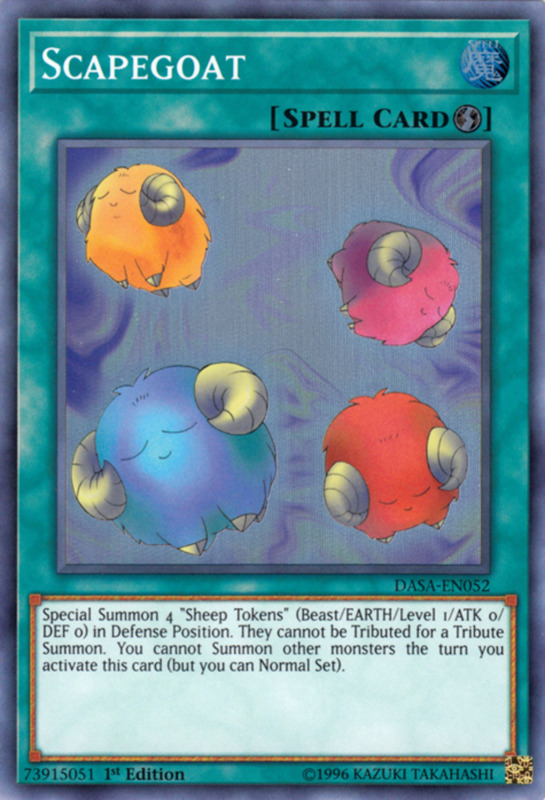 A monster reimagining of the classic Scapegoat quick-play spell, Scapeghost can special summon as many Black Sheep Tokens as you like when flipped, filling your field with tribute, synchro, or link monster fodder. 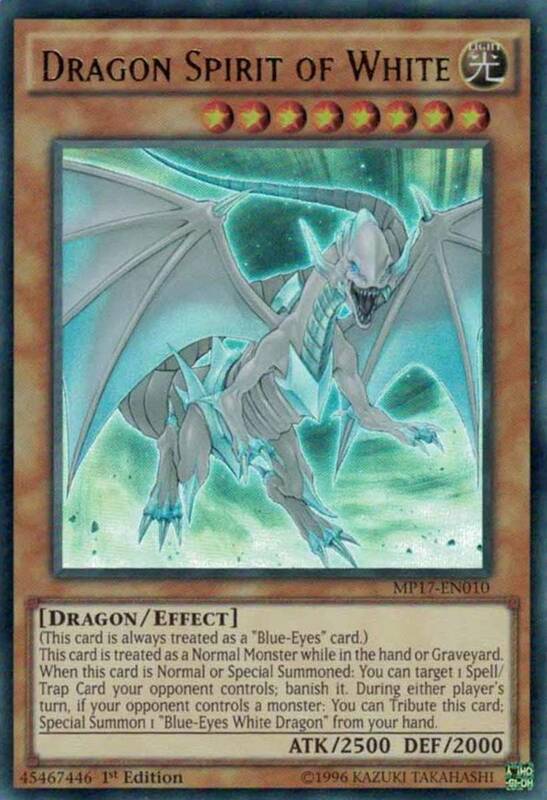 Additionally, if he survives the flip, Scapeghost can assist with his tuner status, putting those tokens to good use by accessing the best synchro monsters in the game, especially useful for cards that demand multiple nontuners (like Trishula, Dragon of the Ice Barrier). Additionally, while 0 ATK and DEF may not help in battle, they (alongside the zombie monster type) access a variety of support cards for Scapeghost, like the Shiranui series. Zombies are one of the most type-inclusive families in the game, and Scapeghost fits in perfectly with just about any undead deck list. Once banned for her fierce powers, Magician of Faith is now perfectly unrestricted, letting you place up to three copies in your deck. Her battle stats are low, but upon flipping, she simply adds a spell from your graveyard to your hand, a rare and easy-to-use spell recycle. After that, assuming Faith is still alive, she can be used as tribute, synchro, or link summoning material. 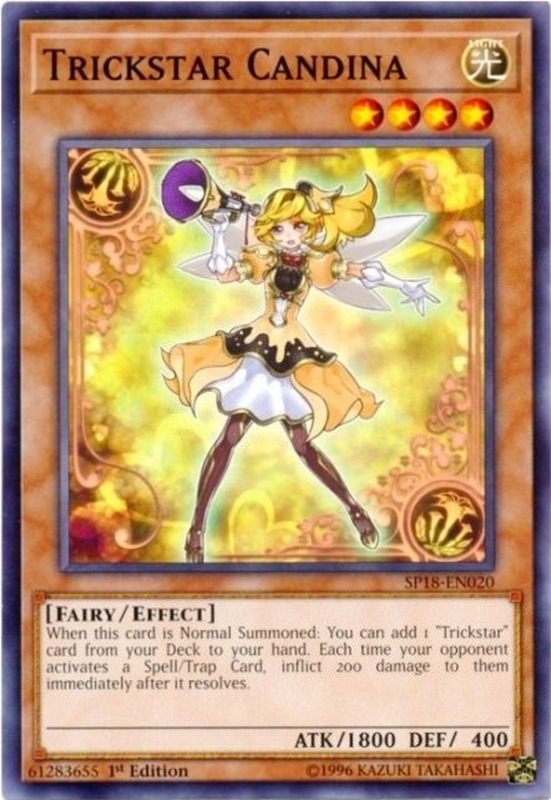 Unfortunately, while she technically bears the expansive Magician archetype's name, Faith isn't a member (and doesn't qualify for supports) because this was a poor translation of her original non-Magician Japanese name. Luckily, she bears the dark attribute and spellcaster type that many Magicians like Black Fang Magician can still benefit. 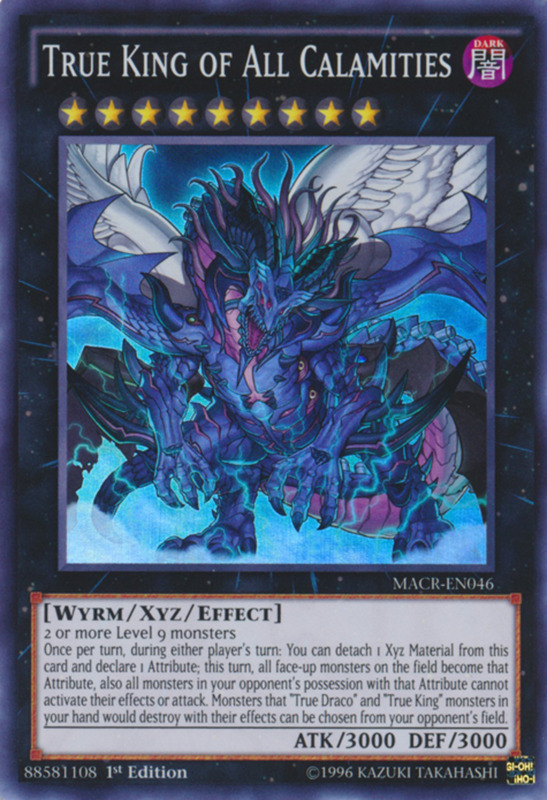 Upon his initial debut, Ryko was favored over Man-Eater Bug for his ability to target and destroy a card of any type upon flipping, not just monsters. Additionally, he sends three cards from the top of your deck to the graveyard, useful for stocking your discard pile with revival-ready behemoths and graveyard-activating effects. Low battle stats, sure, but Ryko removes any opposing card, fills your graveyard, and works especially well alongside his deck-destroying Lightsworn brethren, whose powers rely on quickly filling the deck with members and summoning Judgment Dragon. 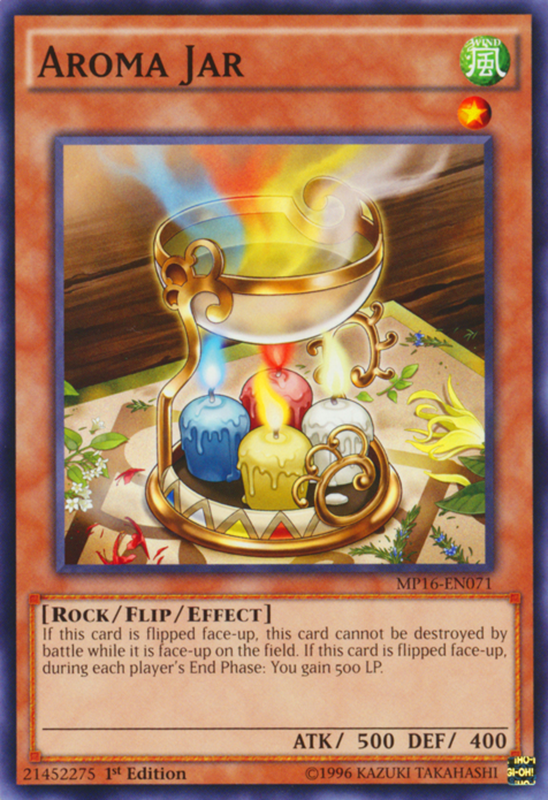 Aroma Jar is simply one of the best defensive, life-point regaining cards in the game. When revealed, this rock monster cannot be destroyed by battle, making it a pain to remove. In addition, after being flipped face-up, you gain 500 life points during each player's end phase! Other 500-life gainers like Solemn Wishes and Golden Ladybug typically only activate on your turn, while Aroma offers twice the health regeneration. Once you've had your fill, Aroma also makes for good link material to further accentuate your team. 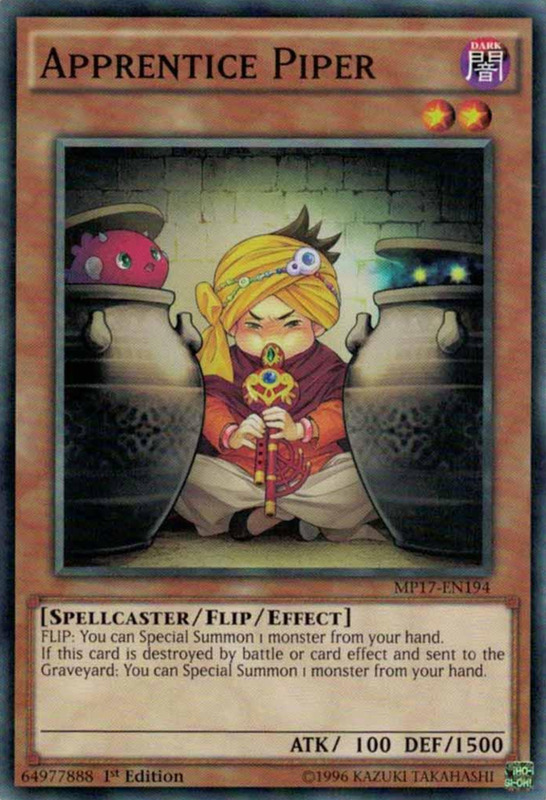 Many duelists overlook defense when constructing their build, but having a generalized blocker like Aroma Jar (what is with Yu-Gi-Oh and pots/jars?) can give you the time you need to stall and make a comeback. Despite his dragon name, Shaddoll Dragon is yet another dark-attributed spellcaster. When flipped, he can return any opposing card to its owner's hand, especially lethal against extra deck monsters. Additionally, his 1900 ATK is surprisingly competent for a no-tribute-needed flip card. Not only that, when sent to the graveyard by a card effect, Dragon lets you target and destroy any spell or trap on the field. While you can only use one effect of Dragon per turn (be sure to space them out), this spell/trap removal even works when Dragon is sent to the graveyard from the hand or deck. 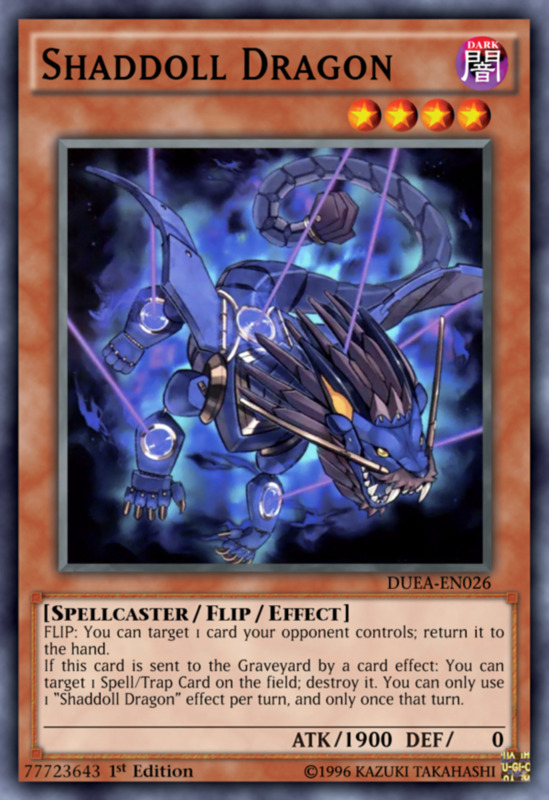 Combo with the now-legal Future Fusion spell to place Dragon into the graveyard from your deck, destroy an opposing spell/trap, and prepare the fusion summon of a fusion monster. Thankfully, the Shaddoll series has plenty of fierce fusions to brandish, lending Dragon even more versatility, and like all dark monsters, he helps employ the popular draw spell Allure of Darkness. 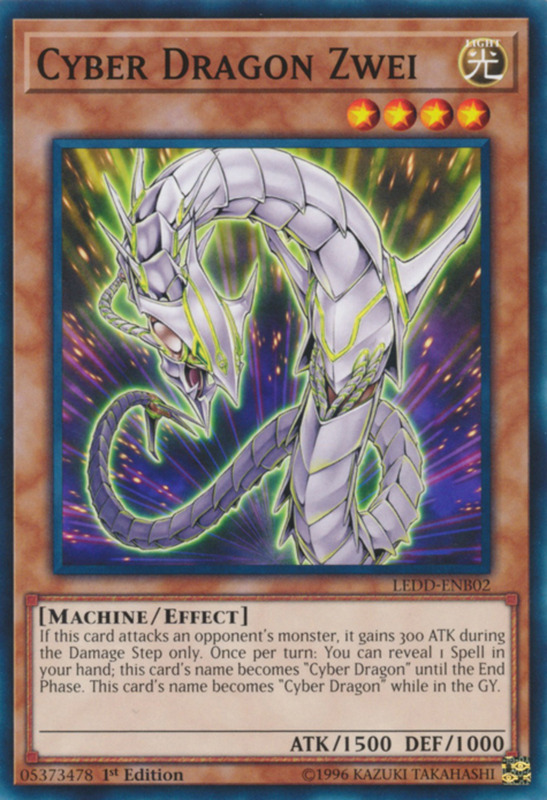 Finally, while 0 DEF may seem like a downside, it qualifies Dragon for unique effects including the graveyard revival of Masked Chameleon, an easy way to play rank 4 xyz monsters or level 8 synchros. This puny pipsqueak packs a potent punch and makes for a great turn-one play. 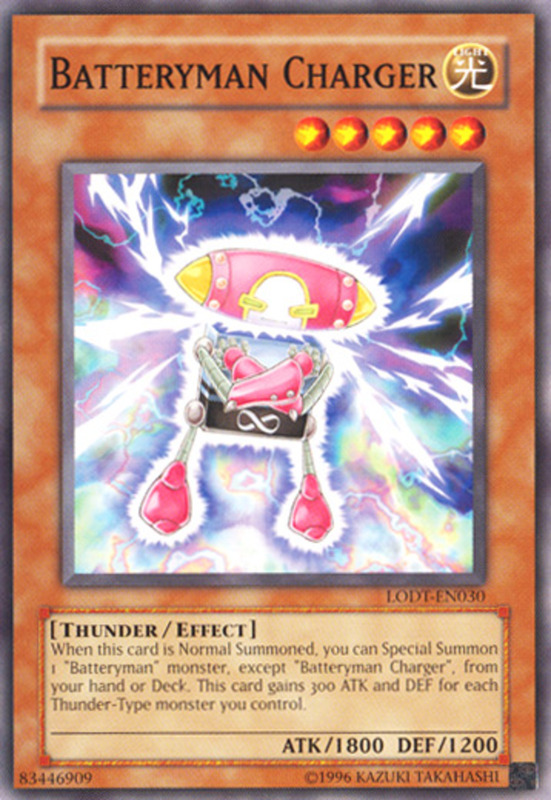 When flipped face-up, you get to special summon a level 4 or lower Batteryman from your deck (other than another Micro-Cell), searching and fielding a warrior for free. Additionally, after having been flipped face-up, when Micro-Cell is destroyed by battle, you draw a card. With a single unit, you're pulling and fielding from your deck while also drawing a card and stocking your graveyard. 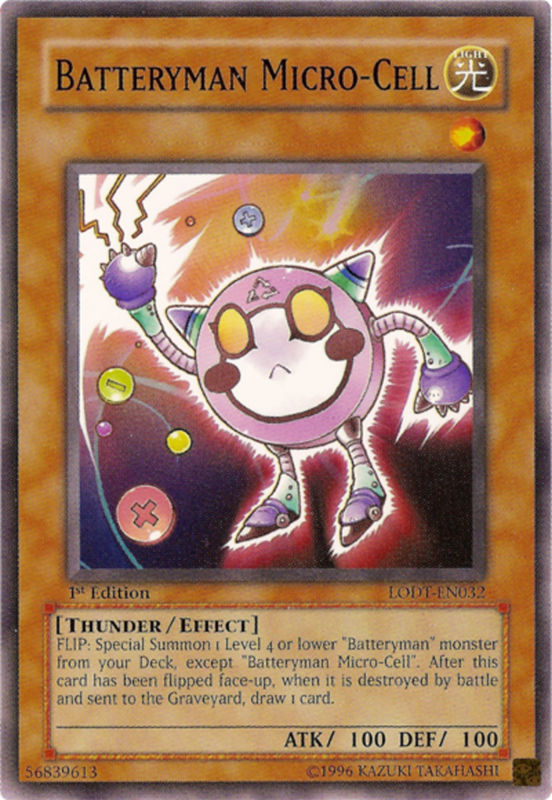 Swarming is particularly important for the powerful Batteryman thunder monsters since having three out accesses their opposing field-wipe Short Circuit magic. Additionally, transitioning Micro-cell to the graveyard assists in the summon of the archetype's boss monster, Batteryman Industrial Strength. Overall, Micro-cell is admittedly series-specific, but he certainly does an excellent job supporting his kin. Just like Apprentice Piper, Tindangle Trinity's 1500 DEF may actually let it survive attacks from weaker utility monsters. 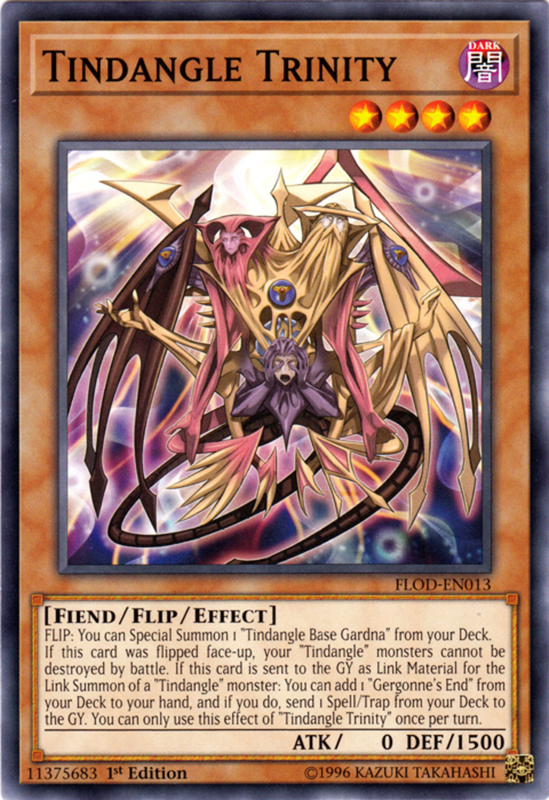 More than that, when flipped face-up, Trinity special summons Tindangle Base Gardna from your deck, excellently fielding another Tindangle fiend. Also, once flipped face-up, Trinity prevents all your Tindangle monsters from being destroyed by battle, an awesome shield that barricades its comrades in addition to itself. But hold your Kuribohs, there's more! 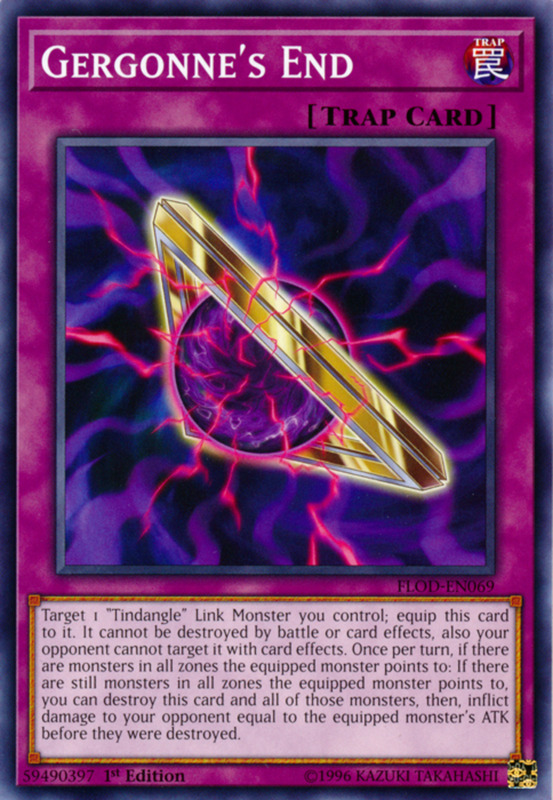 When Trinity is used as link material for the summon of a Tindangle link monster, you can (once per turn) add one Gergonne's End from your deck to your hand, and if you do, send any spell or trap from your graveyard to your deck. 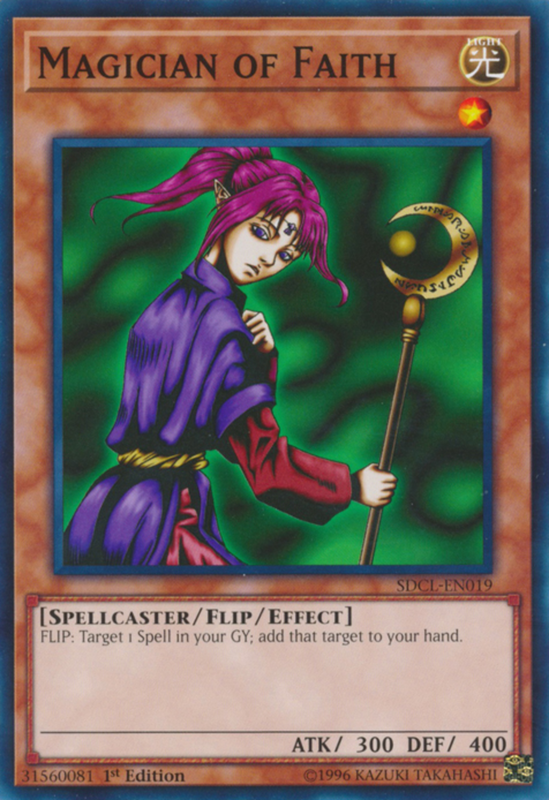 Gergonne's End is a trap that greatly supports your Tindangle link monsters, guaranteeing your new ace will have a hefty defense, and sending other spells/traps to the graveyard lets you potentially recycle them later. What else can I say? Trinity only belongs in Tindangle decks, but boy does it belong in Tindangle decks. He's been with us since the beginning, and Penguin Soldier is as deadly as ever. While nowhere near strong, he's slightly buffer than most low-level flips, and when overturned, Penguin lets you target up two monsters on the field and return them to the hand. This amazing, nonarchetype-dependent effect offers several boons. Most obviously, it can remove two opposing monsters, especially useful on extra deck cards. However, you can even target your own monsters, letting you manually flip Penguin face-up to remove one opponent's card while placing him back in your hand, ready to be reset and flipped all over. Finally, the ability's text helpfully bounces "up to two" monsters, meaning if for some reason you only want to target one or even zero, you can. 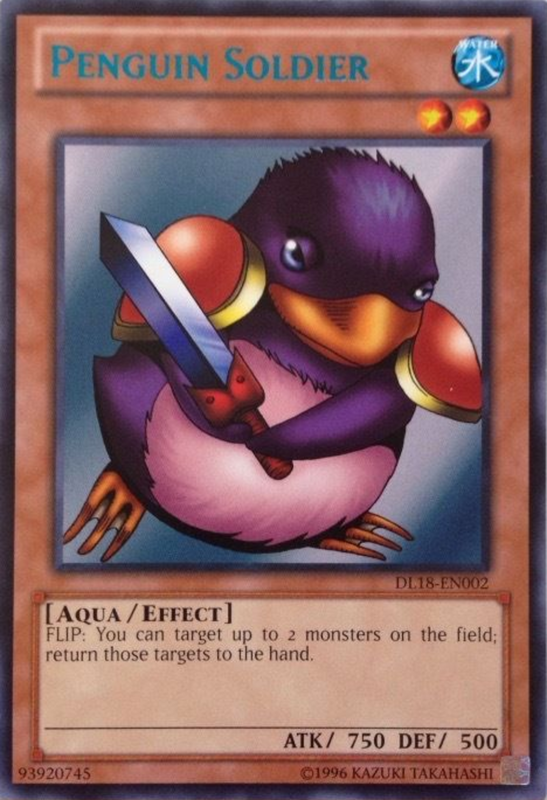 Penguin Soldier's powers are so impressive the he sees usage even in decks that have nothing to with his water attribute or aqua type. A quick-and-easy removal that can potentially set himself up for more bounces, Penguin is a series classic that I recommend for any deck, especially ones lacking non-destruction removals (you want at least a few of those to counter destruction-immune monsters). But despite his powers, Penguin can be obtained for surprisingly low prices under a dollar! Which monster do you prefer? After playing an integral role in the series's origins, flip monsters were largely ignored for many years and their best members were banned or limited. Thankfully, modern dueling has grown more lenient with past cards, allowing access to old favorites, and new flip archetypes like Tindangle and Prediction Princess pay homage to one of dueling's oldest mechanics. 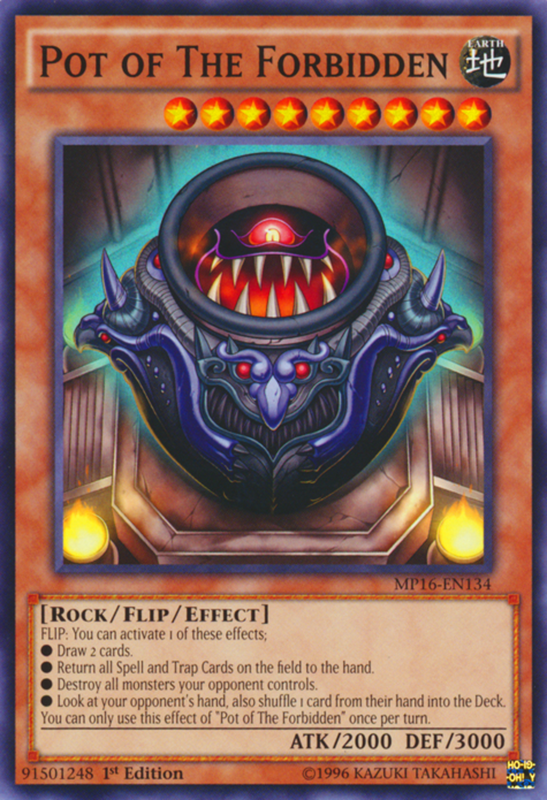 The fun (and psychological horror) of face-down cards have always been one of Yu-Gi-Oh's advantages over Magic: The Gathering and Pokemon's TCG, and with updated supports, the decks are surprisingly viable. 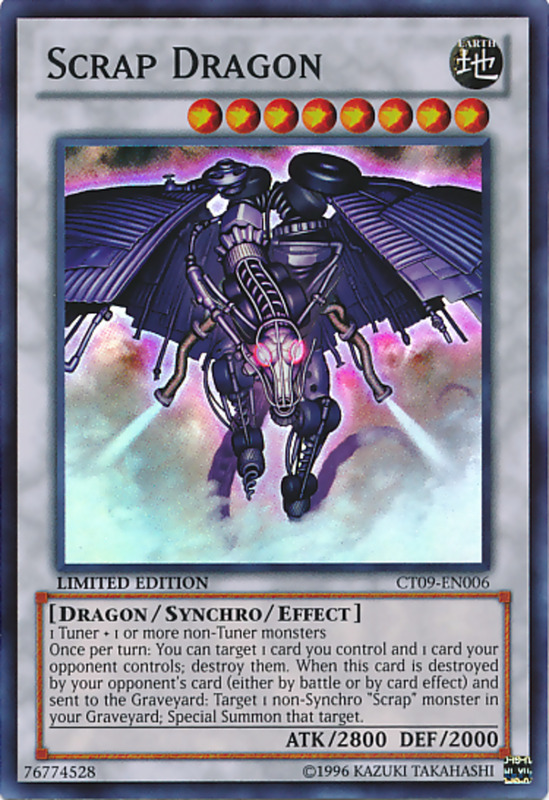 But for now, as we eagerly await Konami's next expansion of flip monsters, vote for your favorite card and I'll see you at our next Yu-Gi-Oh countdown!